The ITN Pentagon III packs a powerful AMD 3200+ with future proof 64 bit Technology, giving the Pentagon III the power to play the latest games without breaking your budget. 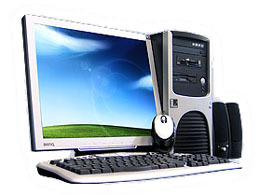 If you are after a PC for home use and the ability to play the newest games then the Pentagon III is the answer. ITN’s commitment to our customers also ensures that the included 3 year warranty will keep your mind at peace. 64 Bit technology allows you to do what you want on your computer. Whether it’s watching videos, ripping and playing music, or playing low 3D demanding games, with AMD64 performance, you can fully enjoy any multimedia experience with a “you are there” reality. The only shader Model 3.0 and PCI Express Video cards in their class, the GeForce 6600 GT delivers ultra-realistic gaming and unmatched multimedia experiences at a great price.